Remember those happy moments? 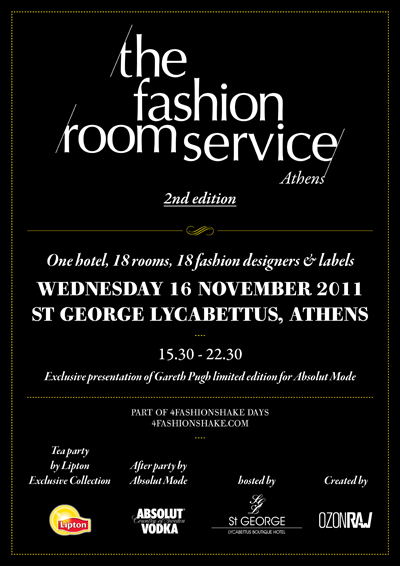 The Fashion Room Service is happening once again this Wednesday! OZON Raw once again will be gathering our favourite fashion people and brands (complete list and bios here) plus their creations, all under one roof to meet, see and feel. Extra perks, the quite lady-like Tea Party by Lipton and after eight cocktails by Absolut.